Michael Simon‘s marvelously detailed watercolors have appeared many national magazines, including Trout, Fly Rod & Reel, and Fly Fisherman. 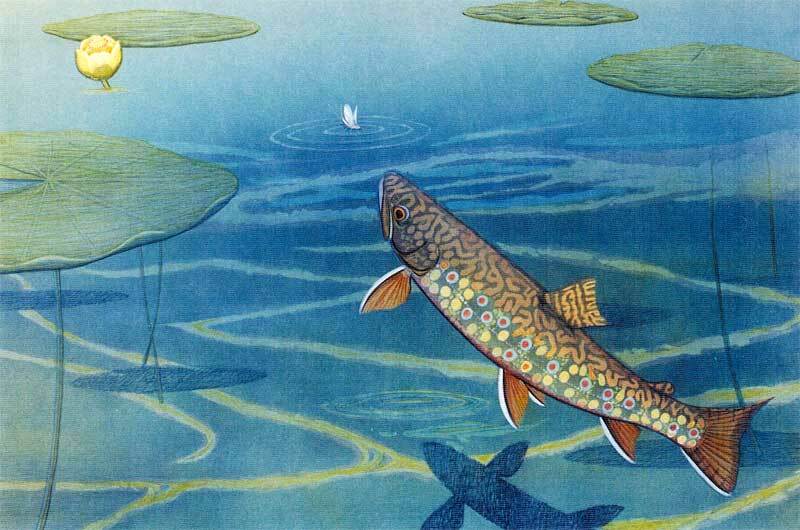 He was also the illustrator of John Gierach’s classic book Trout Bum and has produced murals and limited edition lithographs for Trout Unlimited, The Federation of Flyfishers and the American Museum of Fly Fishing. To see more of Simon’s work visit his website at: www.michaelsimonanglingart.com.